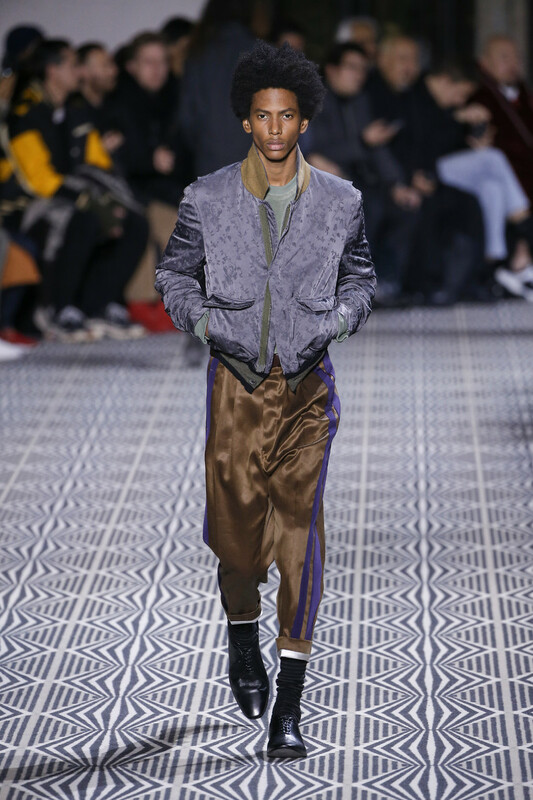 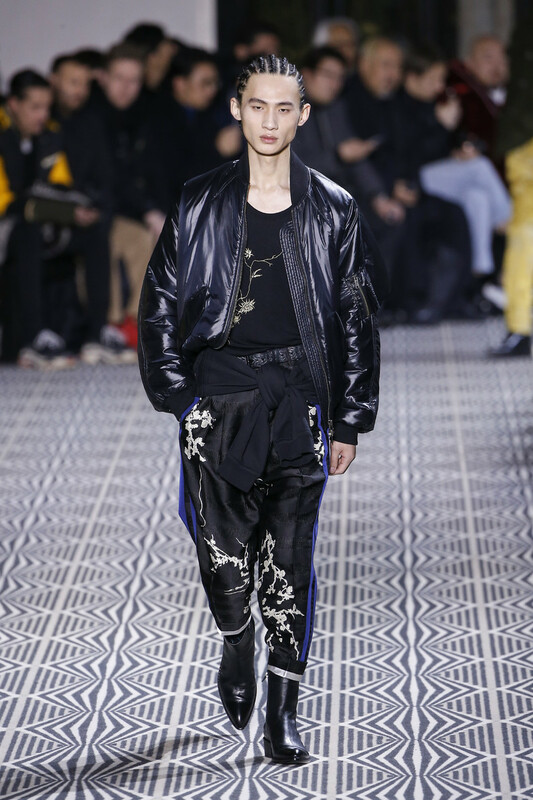 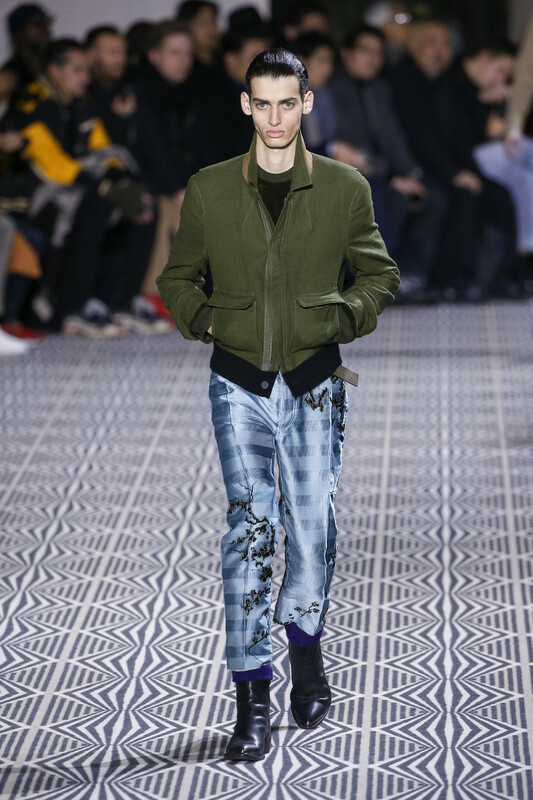 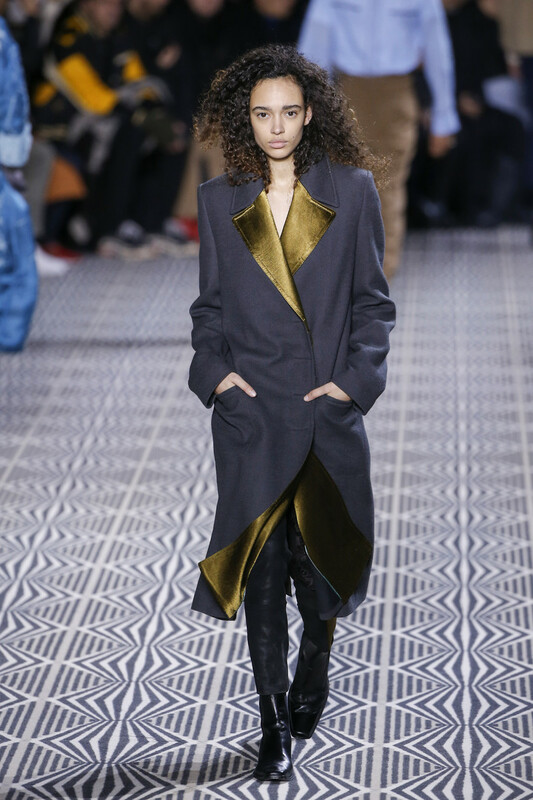 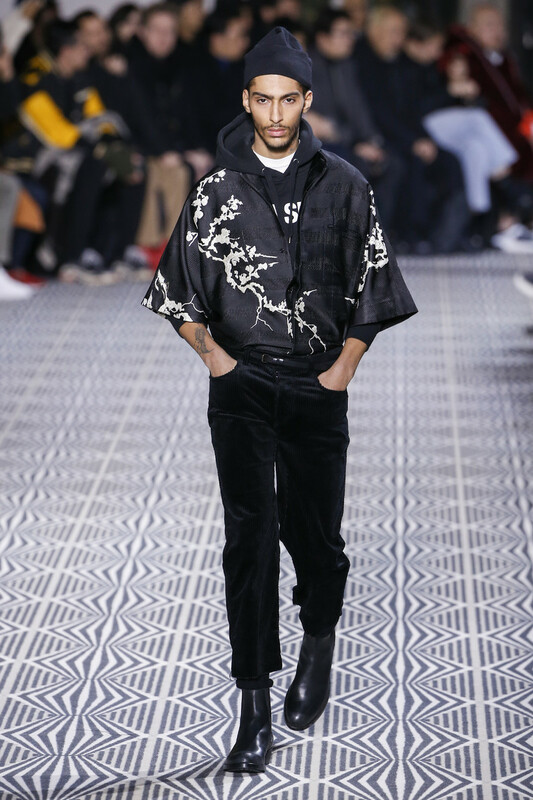 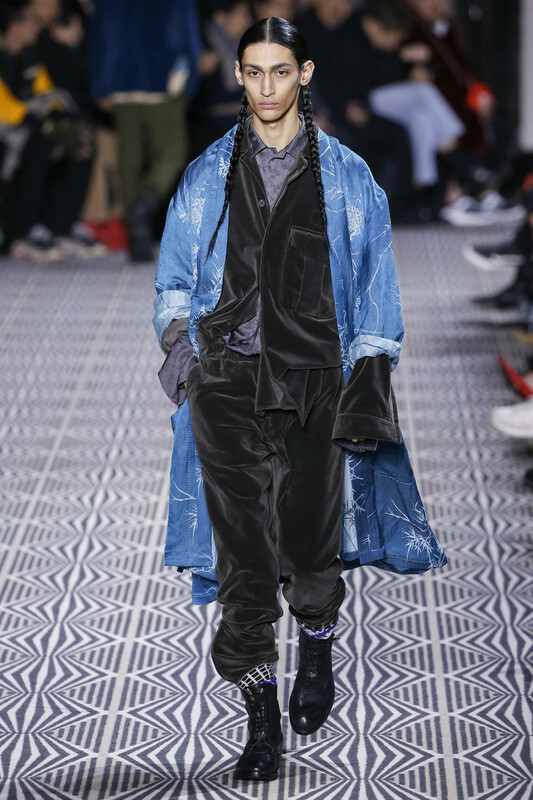 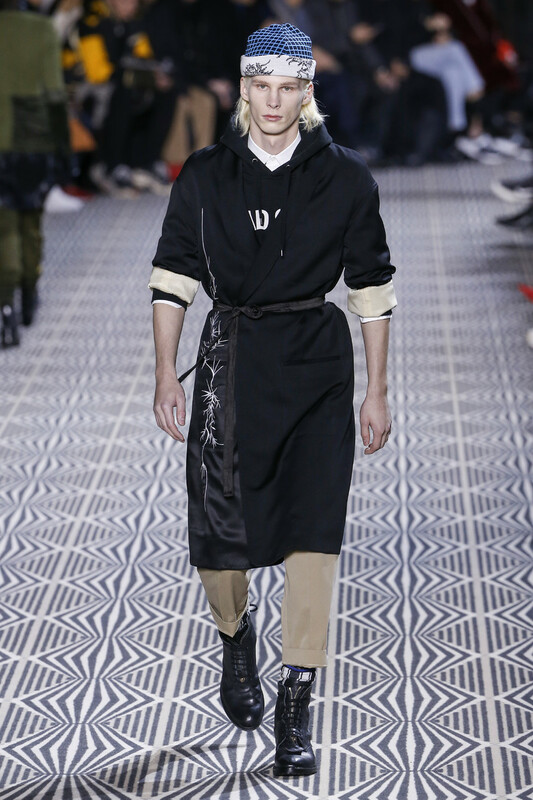 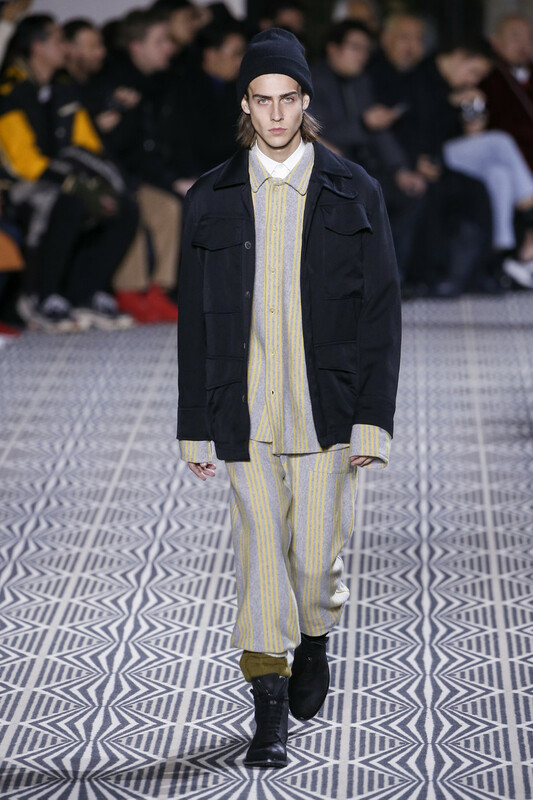 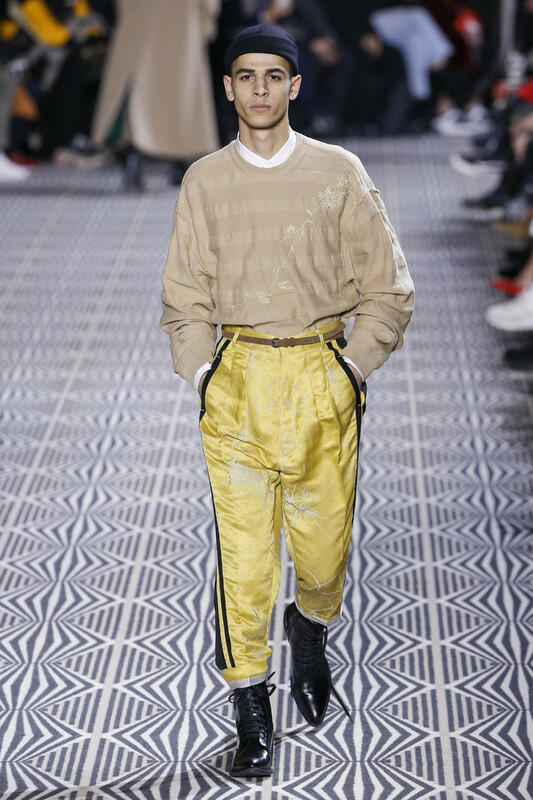 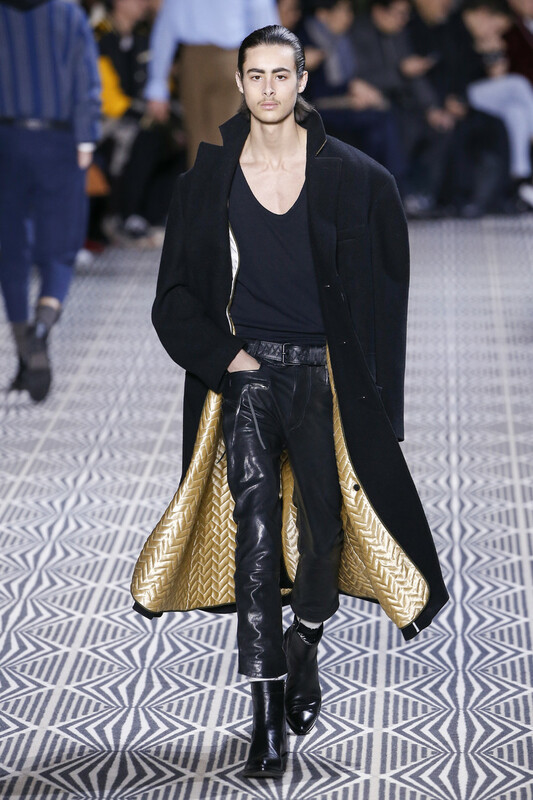 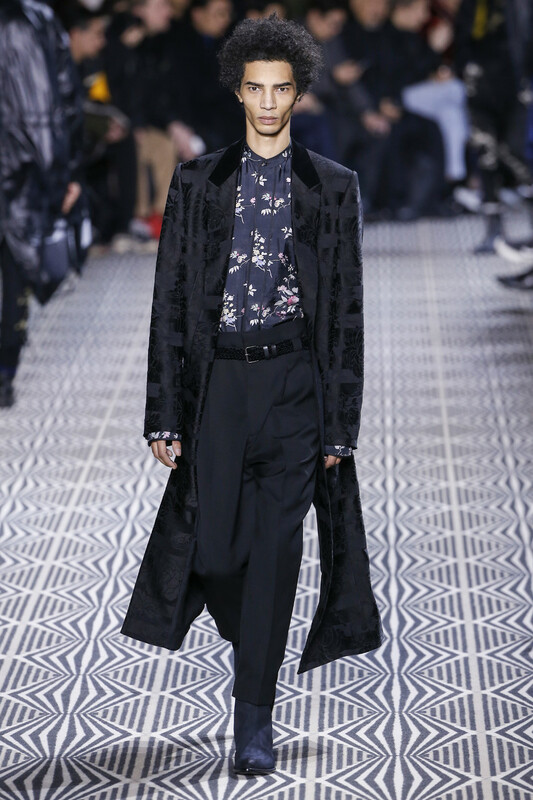 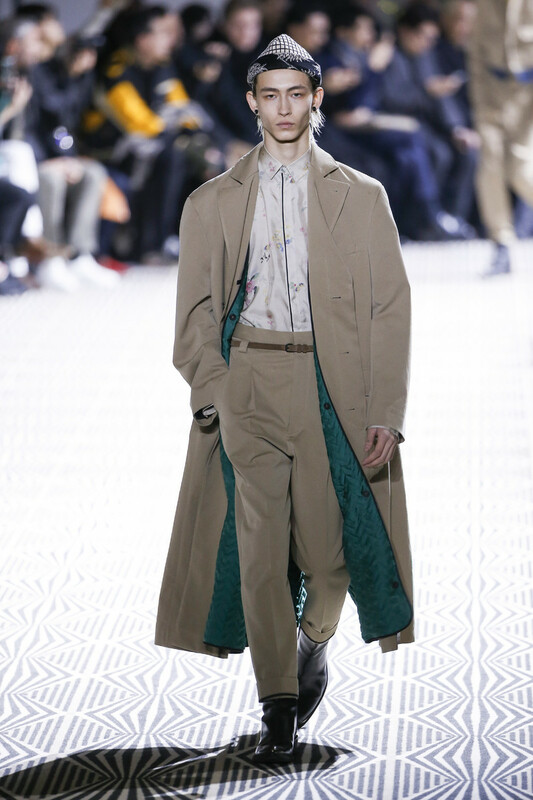 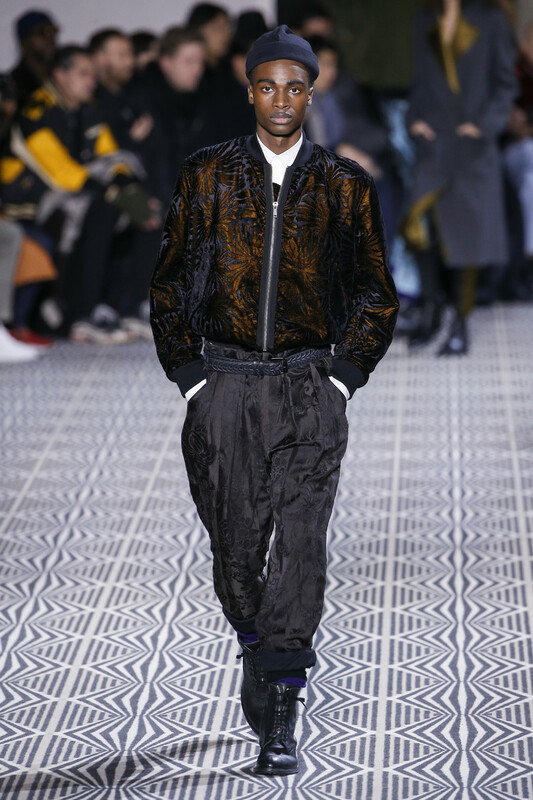 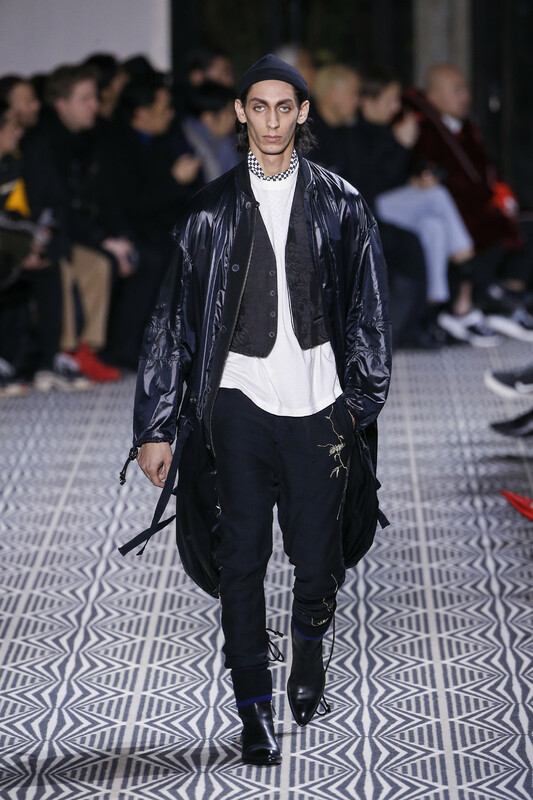 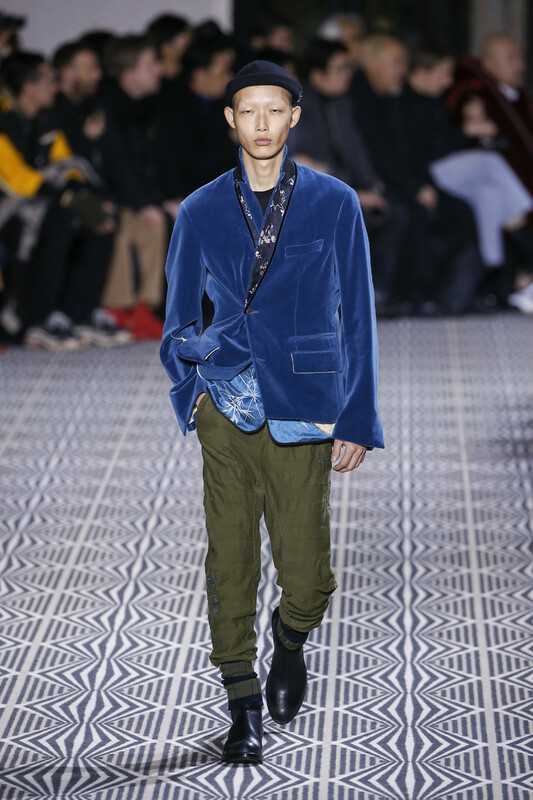 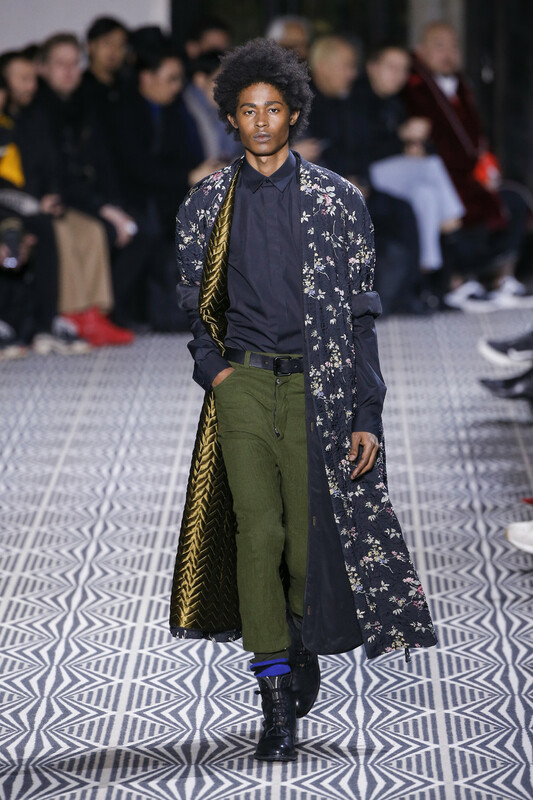 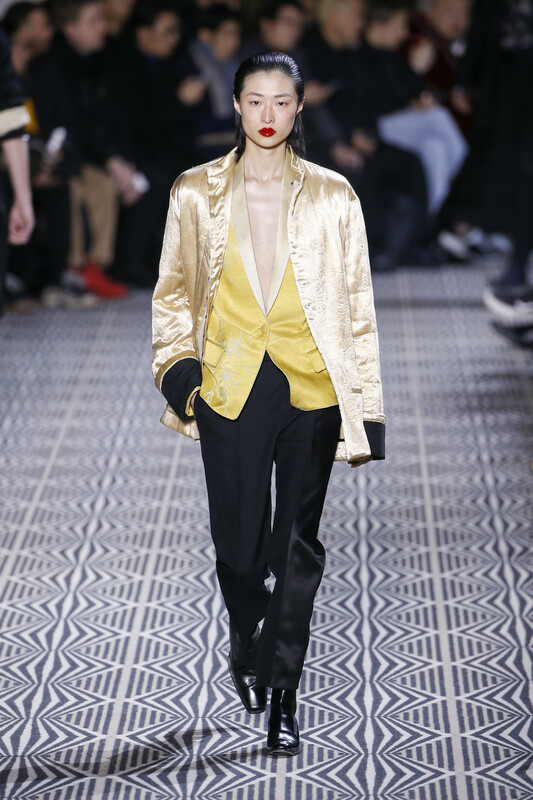 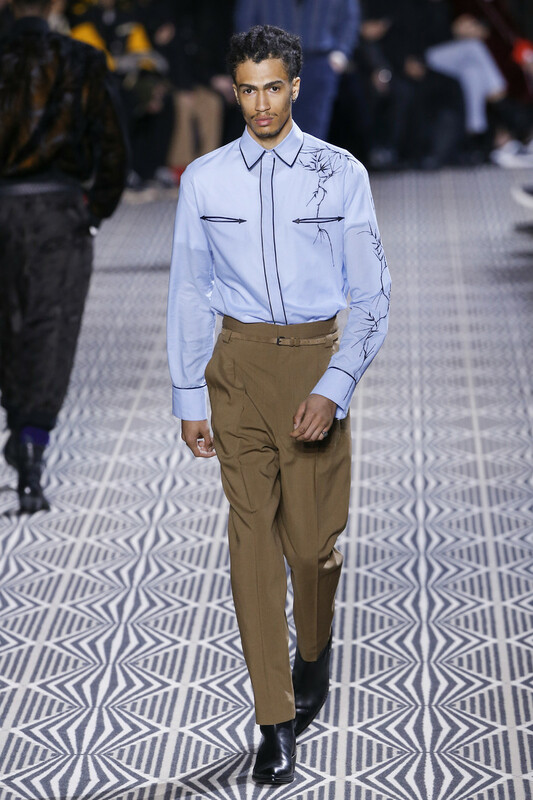 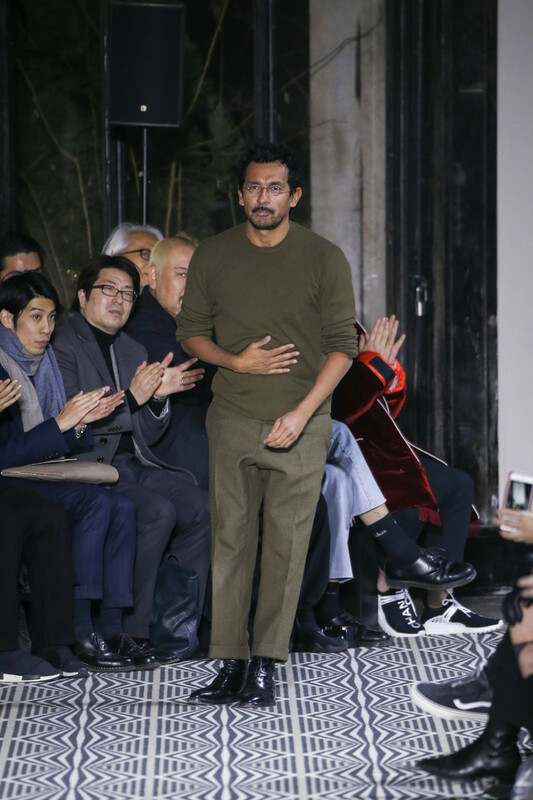 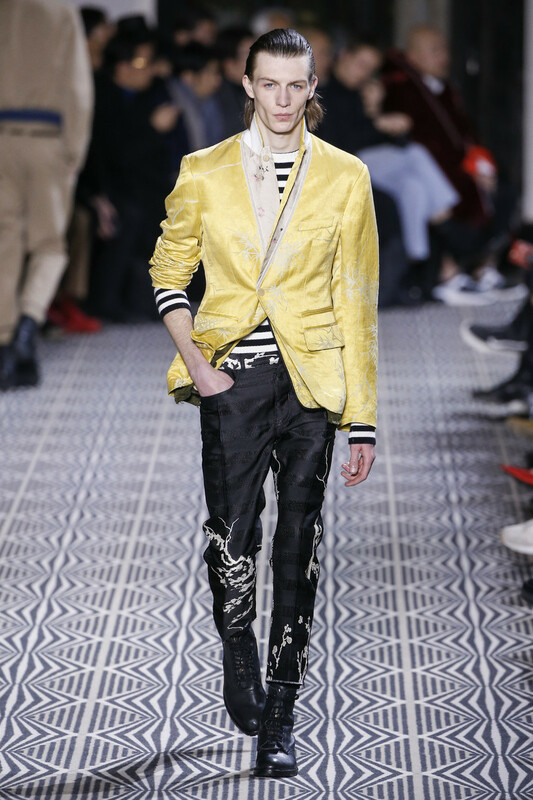 Haider Ackermann’s collection felt less gritty rock than past collections, and showed a more merch-friendly, cleaner side. 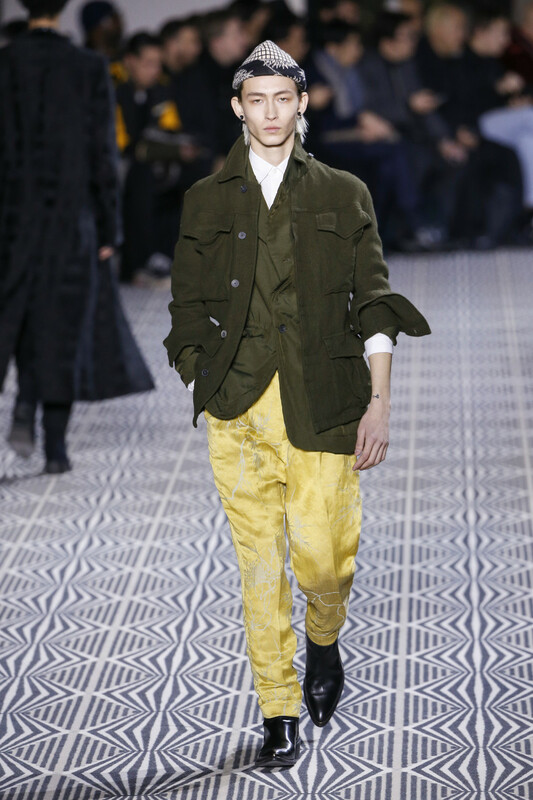 Fully intact was his sense of color and nomad instincts. 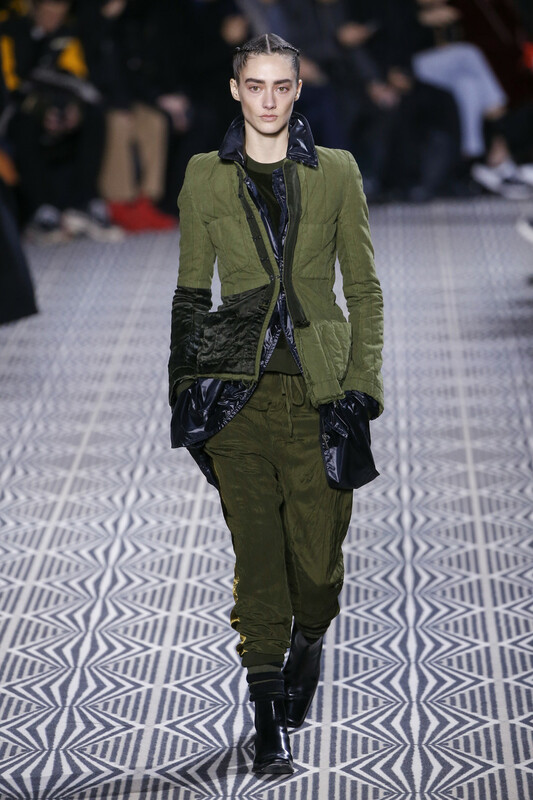 On a range of layered military-ethnic silhouettes for a chic dandy, the designer juxtaposed Army green and khaki with the jewel tones of the silky rich fabrics. 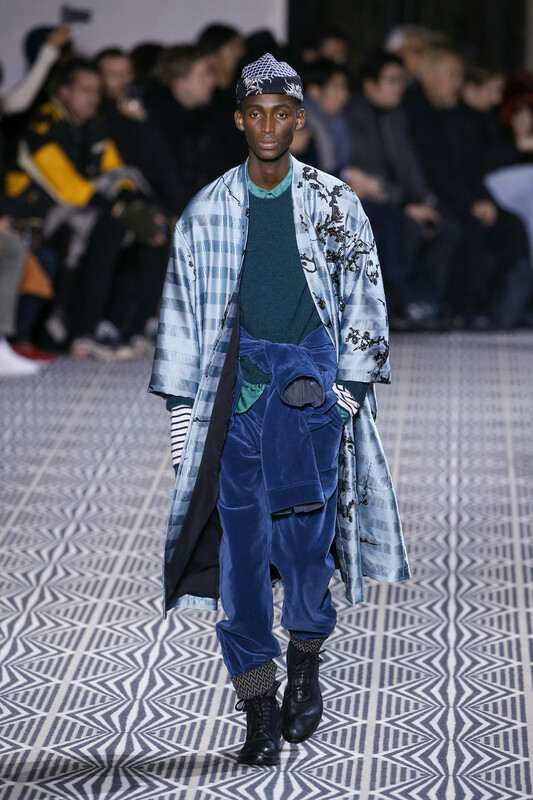 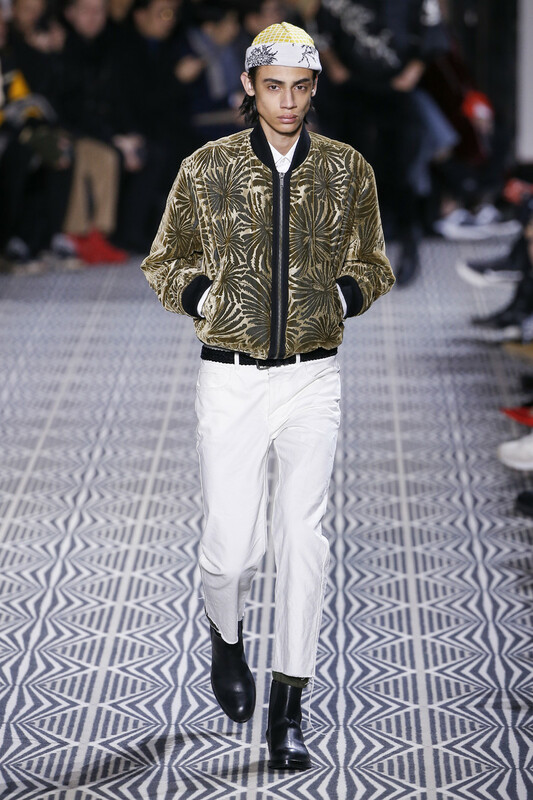 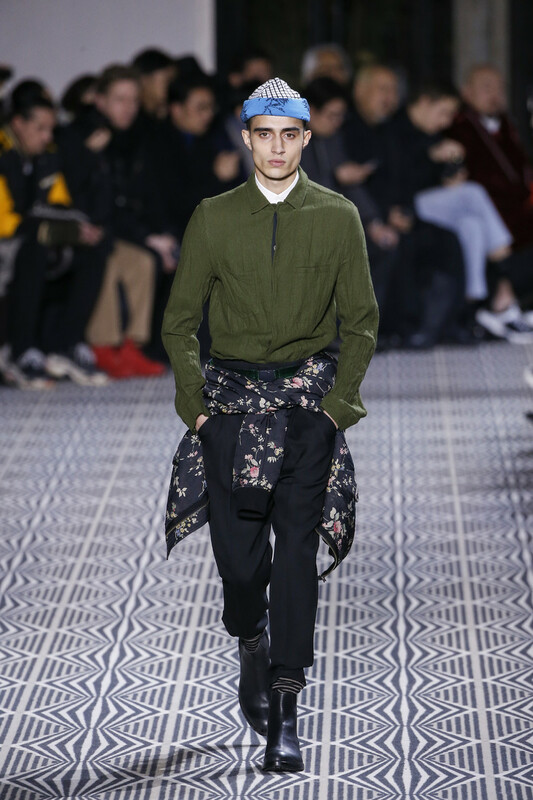 Quilted green and gold underlayers flashed out from the big tailored coats and jackets, silks lined upturned lapels, and white silk-linen cherry blossom embroideries climbed across the clothes, mixing with stripes on one of the kimonos. 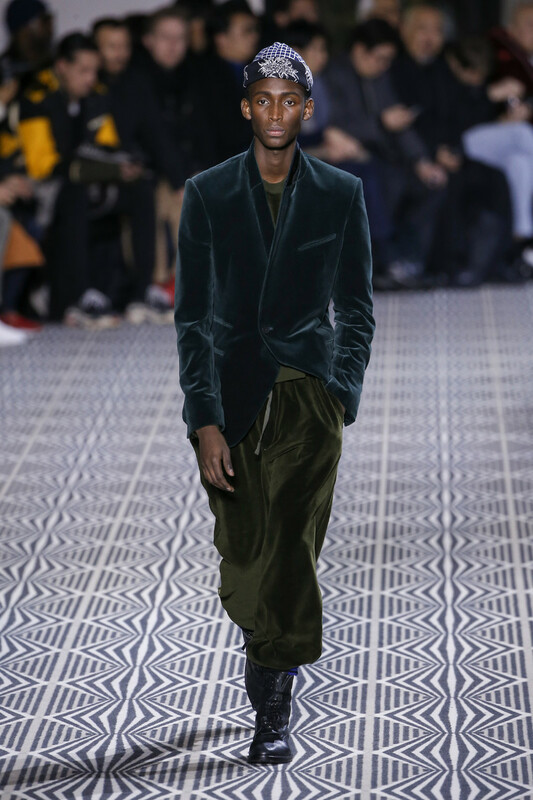 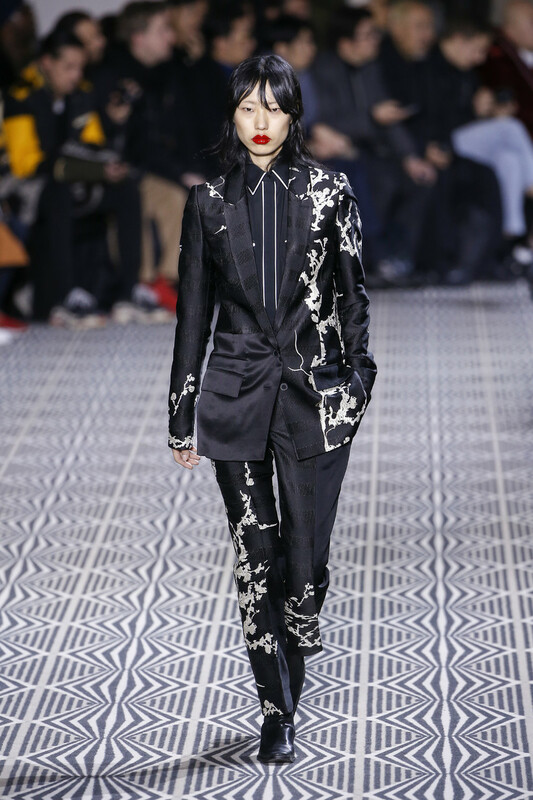 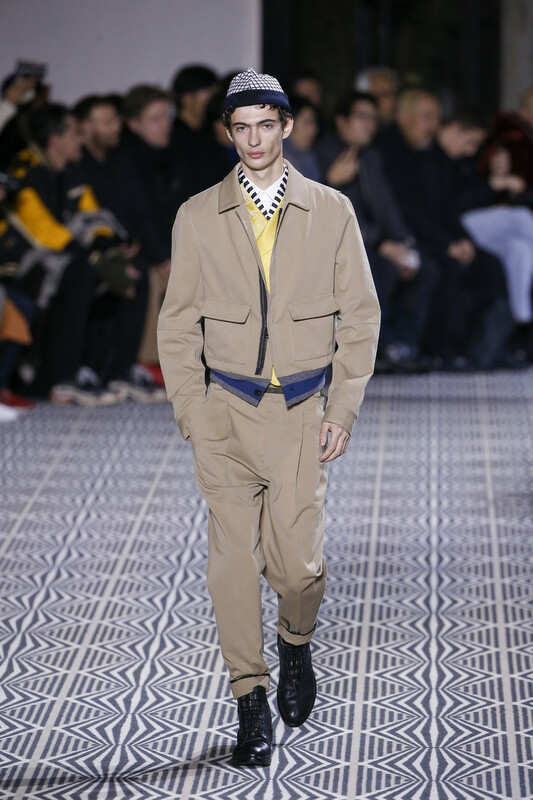 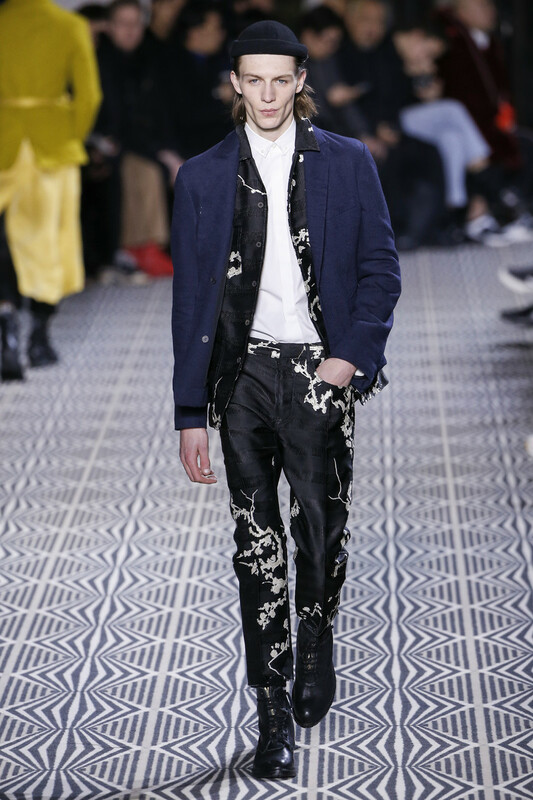 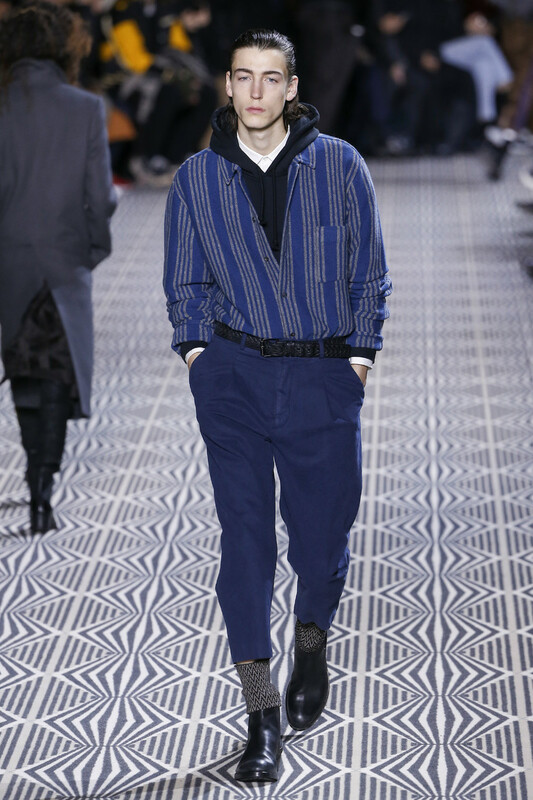 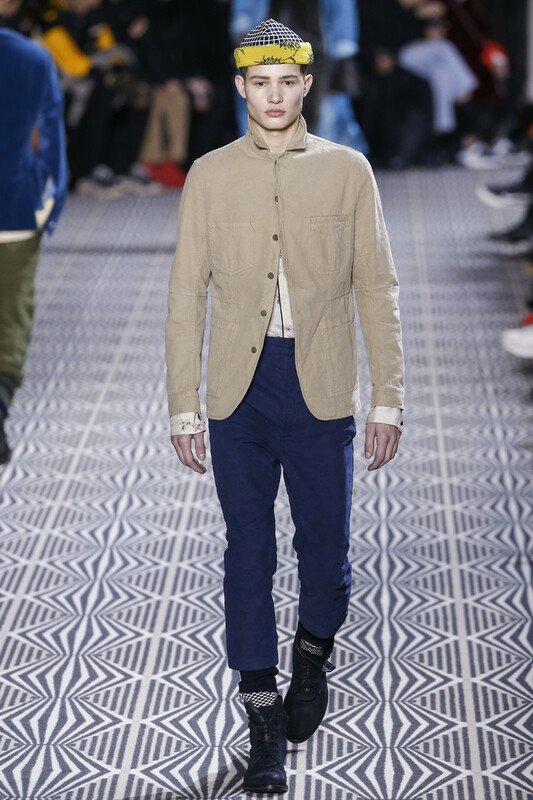 Soft unconstructed velvet leisure suits underscored the cocooning mood.